Hey everyone, Happy New Year (again but this time actually in the new year)! Hope you’re all doing well. It’s the first Wednesday of the month so that typically means I look back at my incoming snail mail from the previous month but I’m not gonna lie, with the previous month being December, even though I got some great mail, I forgot to photograph it and track it! It seems to happen every December. I did remember to photograph a few things so I do have something to show you at least! I got an absolutely lovely Christmas flip book from Emma in the UK full of lovely goodies and overall loveliness…have I said that word enough? 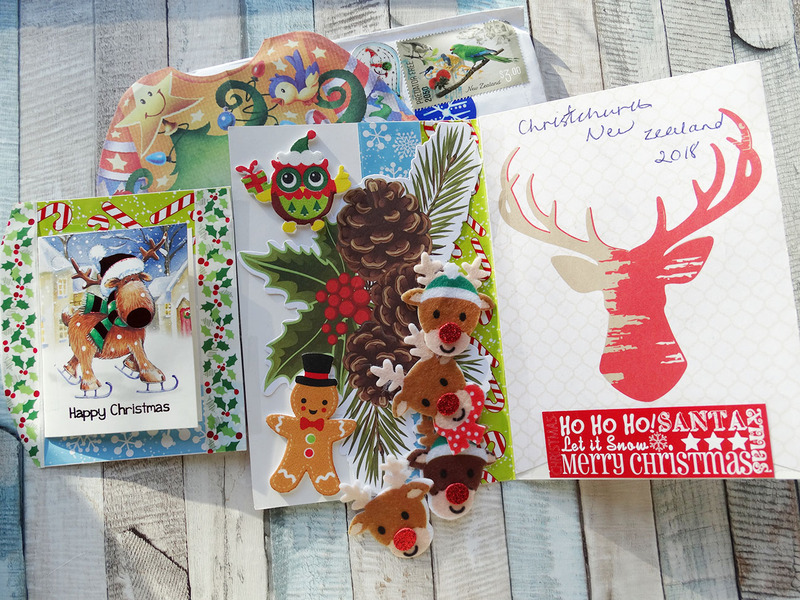 And it turns out that that’s all for photos of my Christmas mail! I thought I had a picture of the Christmas card Stephanie sent me from Australia but for some reason I only have a picture of the stamp…which seams to have suffered a bit from some overzealous postmarking! Oh no, what did they do to that stamp!!! I was so happy that they actually had nice international christmas stamps and then they destroy them with all the postmarks they have!!! Yeah, a bit over zealous with the postmarking there! It’s a shame, happens though (I’ve seen some terrible postmarks from An Post)!